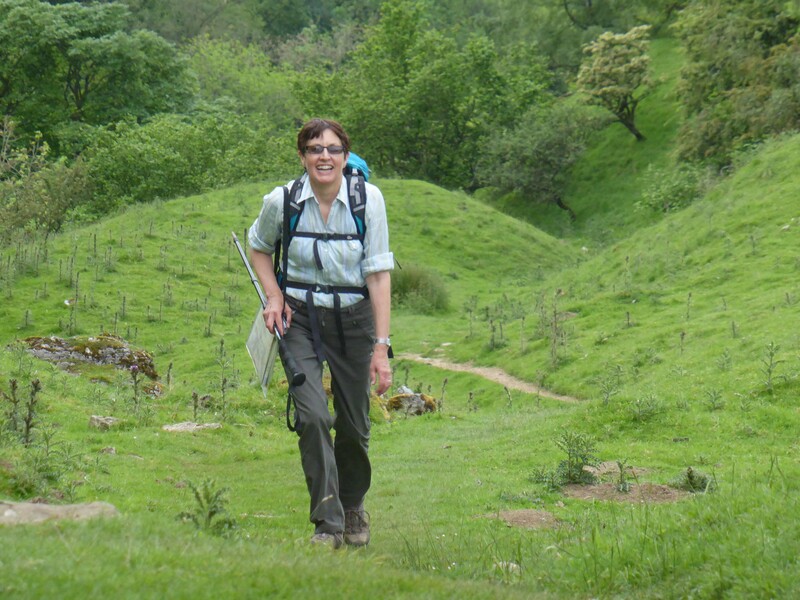 For a number of years Lynnie has had a walk near Muker in Swaledale on the agenda. At three miles long it is one of the shortest walks in a walking book of the Dales purchased over twenty years ago. I have a more recent book, kindly given to me by ex-colleagues from my last job in London. This has a longer walk starting from Muker. Our drive to Muker takes us through Hawes, currently bedecked in bunting in preparation for the Tour de France due to come through on 5th July. We drive through the town, just about every field is offering parking or camping when Le Tour comes to town. We drive along wondering at the speed that the cyclists will be travelling and find ourselves at Garsdale Head, we have gone the wrong way! We retrace our route and then take the correct road to Muker, we are going across Buttertubs pass. As previously mentioned I am not at all keen on heights and avoid high bridges at all costs. Nothing prepared me for the drive at the top of Buttertubs. If I could, I would like to have done it with my eyes closed. Thankfully it is soon over, but the memory will live with me for a long time. I will definitely be finding another route back! Once it is safe to pull over we stop at the viewpoint. It is a special view. Lynnie gets out, my legs are still jelly so I stay in the car. I know I have said it before whilst in Yorkshire, but this view is stunning. We park in Muker. The bunting is out here too. Le Tour is expected to come through the village at 13.31 on 5th July, the support vehicles coming through about forty-five minutes earlier. The whole area will be locked down for hours before hand. We walk through the village and over the bridge then immediately take an ascending walled lane, then turn right to walk back above Muker. There are great views back across Muker and of Kisdon hill beyond. After crossing a small bridge in the track we turn right down towards a barn. We then go through a gate and around a farmhouse in the process of renovation, what a cracking place to have a home. Several Curlews are very active above us making their distinctive call. We spot a chick running on the track, it finds cover in the marsh grass. After crossing a couple of fields the path takes us over a small bridge that crosses a waterfall. 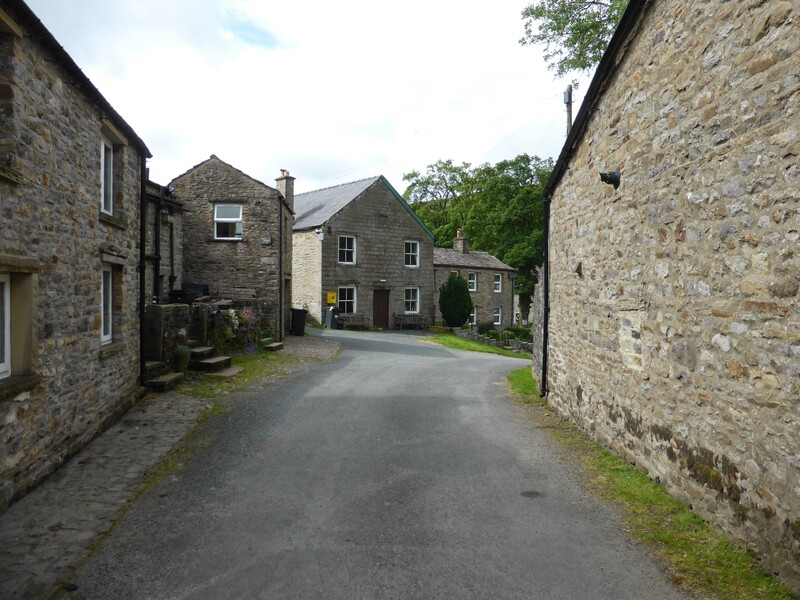 We pause to take photos then make our way down to the road and follow it into Thwaite, another typical Dales village. This is All Creatures Great and Small Country and appears little changed from Herriot’s time. At the Kearton Hotel we turn right to pick up a path that leads us through a series of hay meadows abundant with wild flowers. It is a bit boggy in parts but the route is well walked. We spot a couple of bears with calves in a field we are passing through, all is fine they are at the bottom corner and not interested in us. However, the bull across the way takes a good look at us. We have a bit of a stare at each other, eventually he decides that one of the cows is looking particularly attractive. So we pass him whilst he starts his warm up routine. We join the road that takes us up into the small hamlet of Angram. There is a succession of properties for sale, all with stunning views across to Kisdon. Fine on a sunny June afternoon, but in January with the wind blowing and snow on the ground it must be a different prospect. We decide to follow the road along to Keld. High on the hillside opposite there is a limekiln. 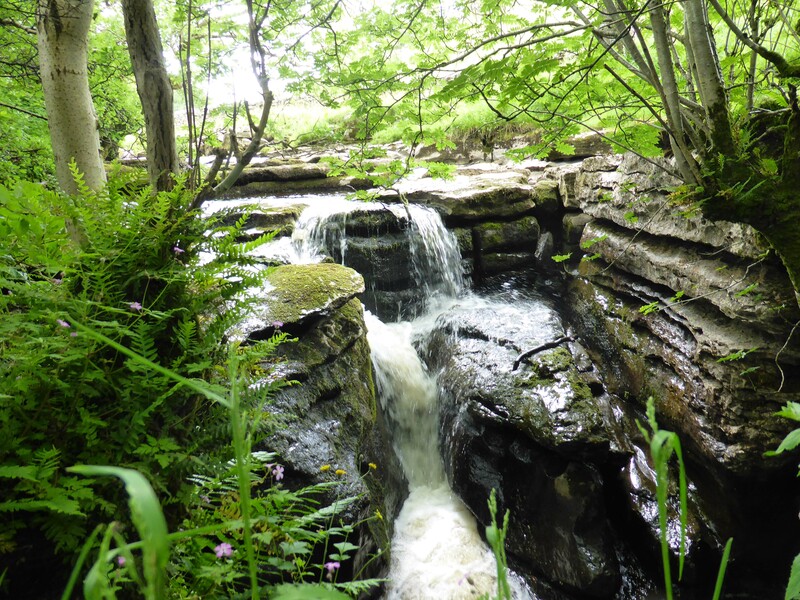 Keld is very quiet, hardly a soul about. Difficult to believe that this was once the hub of a lead mining industry and 6,000 lived in and around the village. As Alfred Wainwright said “Keld is a very special place, at Keld a sundial records the hours but time is measured in centuries”. 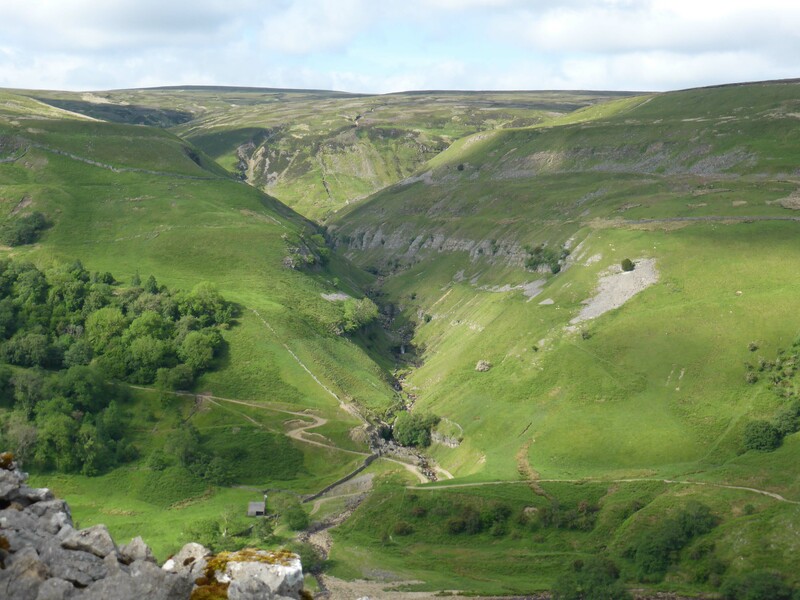 Keld is on a crossroads of two long distance paths with the Coast to Coast and the Pennine Way crossing close to the village. 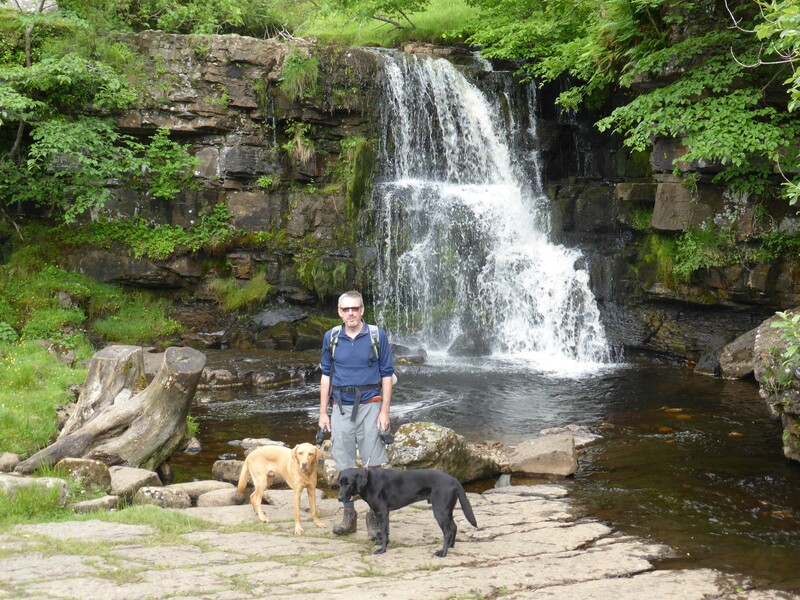 We take the path heading east out of the village, in a short while we take a detour down to the water to get a view of Kisdon Force, then retrace our steps to join the Pennine Way around Kisdon. The path here is rocky and high with some steep drops to the river, fortunately either masked by trees or dry stonewalls. 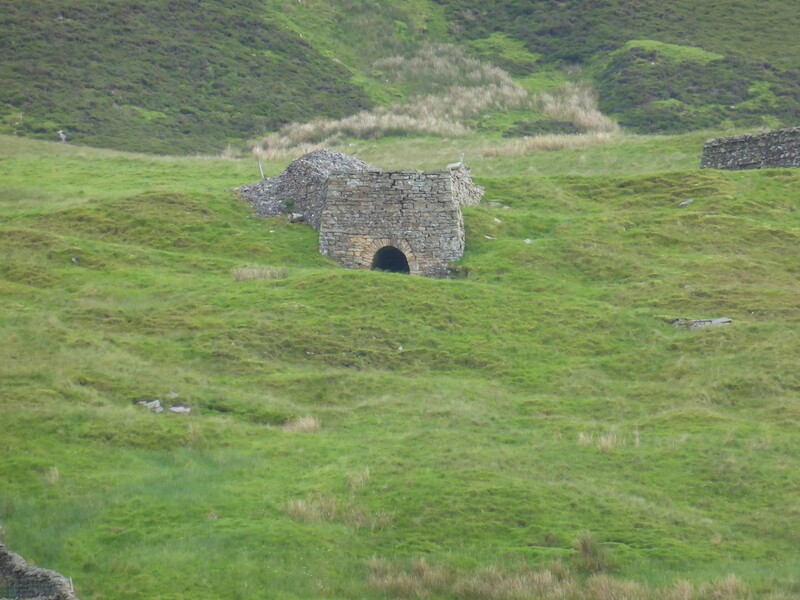 As we follow the path around Kisdon we get views of the disused lead mine across the valley at Beldi Hill and further on our map shows disused lead mines in the spectacular Swinner Gill. After negotiating a field of bears, not at all bothered until they got sight of the dogs, we start the descent to Muker. Back in the village we debate having a beer but decide that we should head back as it is a bit if a trek back to Settle. Our walk has covered around eight miles, very pleasant (if you discount the two encounters with curious bears). 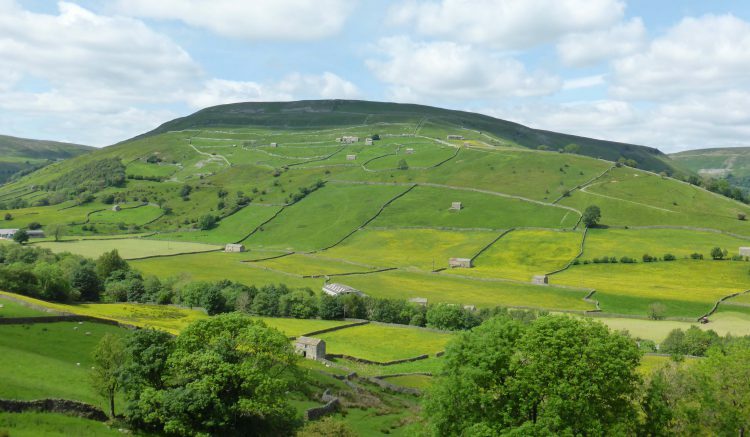 Our route out of Swaledale is to drive across the hills to Askrigg and then along Wensleydale. The first time I took Lynnie to Yorkshire was well over thirty years ago. After a stop in York we came to the Dales and stayed overnight in Askrigg. At the time All Creatures Great and Small could still be seen on TV and the area was very Herriot themed. She fell in love (with the Dales.) So our journey back to Hawes is a trip down memory lane. It does not seem possible that it was so long ago. All those happy years, as I frequently tell Lynnie, she is a lucky woman.